Understanding Your Natural Gas Bill | Spire Inc.
We promise to be transparent about our rates and charges. You deserve to understand what goes into your monthly natural gas bill. Let’s take a closer look at how your natural gas bill is calculated. Delivery: About 51 percent of your bill covers the delivery and service costs to operate, maintain and upgrade natural gas pipelines across our service area. Usage: Roughly 41 percent is your actual gas usage. The cost of natural gas is passed on to you with no mark up. Taxes: The remaining 8 percent of your bill is the amount of municipal tax or gross receipts tax assessed by the municipality in which you receive service. This amount is collected and paid directly to the municipality. What else affects your gas usage? The larger the home, the more energy it takes to maintain a cozy temperature. 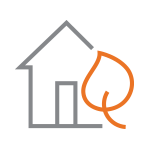 When it’s cold outside, homes with natural gas furnaces use more energy than during warmer months. The age and efficiency of your home’s appliances impacts how much energy you use, too. Insulation blocks chilly, drafty air from your home - so you don’t have to crank up the furnace just to stay comfortable. See your monthly rate and read through our rules and regulations.